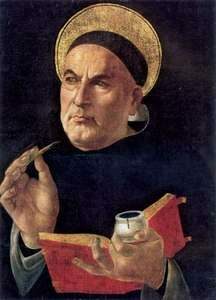 Ave Maria Meditations St. Thomas Aquinas, the brilliant Dominican, was the author of the Summa Theologica and also the Office for the Feast of Corpus Christi, among other things. His works are still most prominent in value to the Roman Catholic faith. ADORO TE DEVOTE of SAINT THOMAS AQUINAS : LOST, ALL LOST IN WONDER.